The Hibernian Historical Trust is holding its third annual Open Day at Easter Road Stadium on Sunday as part of the Leith Festival 2014. 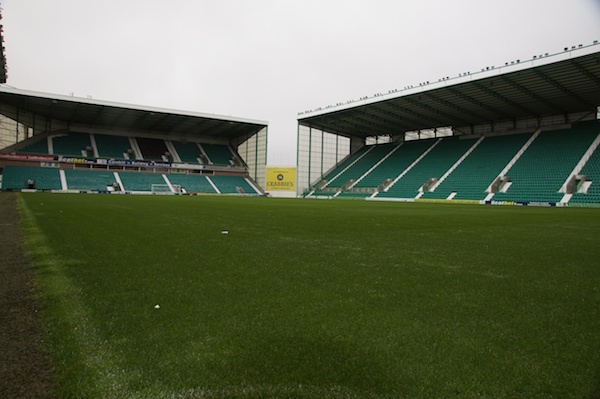 The Easter Road stadium tour offers die-hard fans and visitors to Leith a rare chance to see behind the scenes at the home of the Hibees as well as the opportunity to get up close and personal with some of the Hibs related items held by the trust. The Stadium tours will be held between 12pm-4pm starting in the West Stand at the reception area. This year more areas of the stadium are open to visitors and we also welcome partner organisations who are taking part. Younger supporters can also meet Sunshine the Hibs mascot. The tour is free but donations are welcome to support the work of the Hibernian Historical Trust in preserving the history of Hibernian. To assist supporters to get the best from their visit the Trust have devised a self-guided route for visitors’ tour of the stadium although, there will be stewards at key points to answer questions and provide assistance if required. The route can be downloaded from the Hibernian Historic Trust website.